Orval Francis Kinnaird was born at Cannamore, Ontario on December 1,1913, the eldest son of Stephen and Ida and namesake nephew to my grandfather (Francis) Frank.. 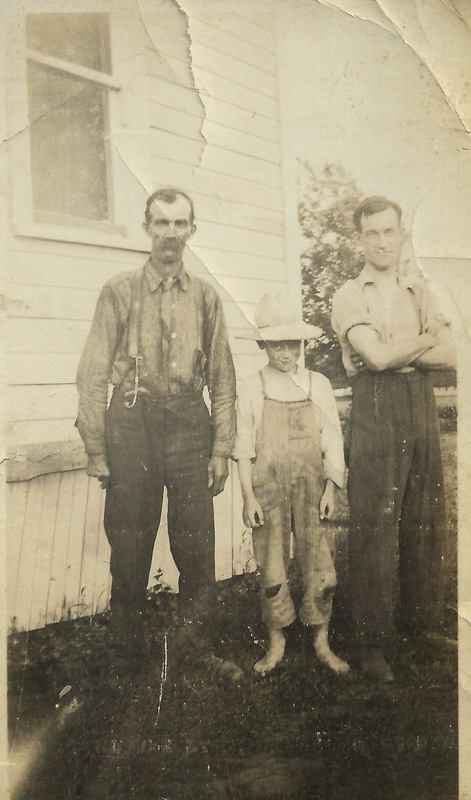 The above photo is of barefoot Orval, the young boy with his father Stephen on the right and his grandfather William George Kinnaird on the left. He is listed as a seven year old student in his Osgoode, Ontario home with Stephen, Ida and his four month old brother Ellis on the 1921 Canadian census. His father's occupation is listed as cheesemaker. On September 6, 1939 he married Alice Rosemary McMartin. 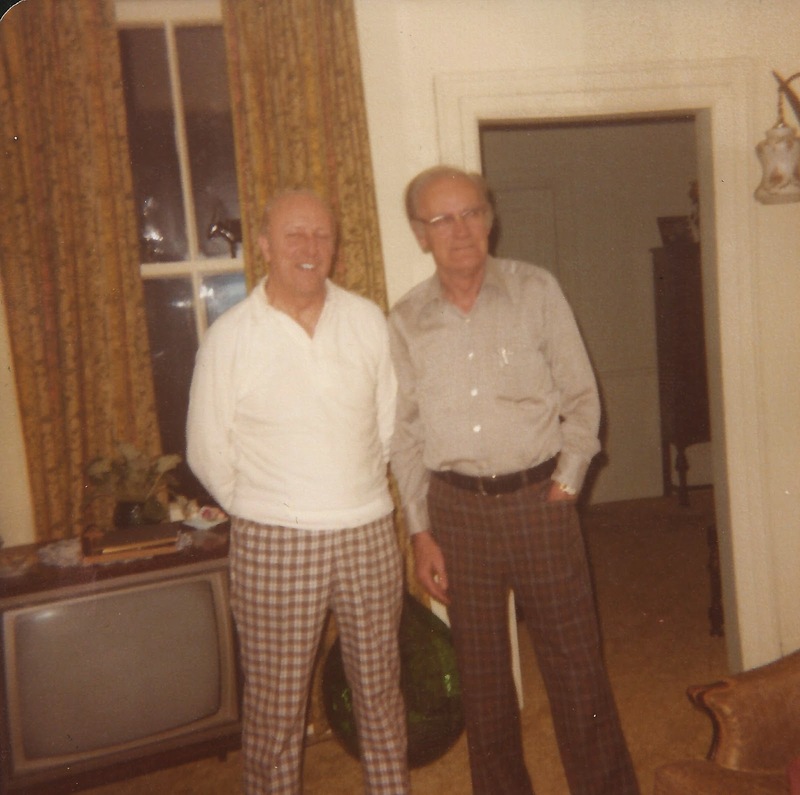 His first son was born 2 years later and shortly after that, Orval went overseas in WW2. 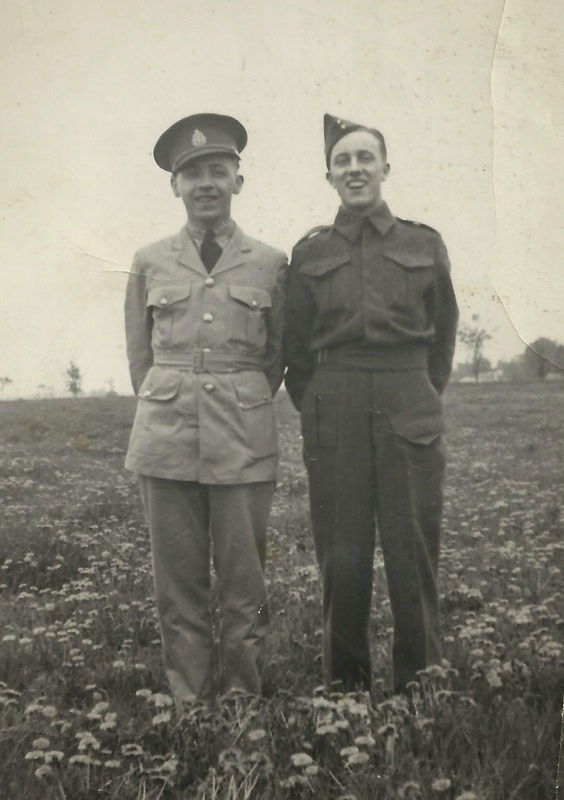 According to a letter from Stephen to Frank from December of 1944, Orval was in the Royal Canadian Medical Corps during that part of the war. He is the man on the right below in the dark coloured uniform, found among my Grandma's "snaps". According to his obituary, Orval was a barber in Kemptville, Ontario for 40 years. He was a member of St. John's United Church, the Royal Canadian Legion, Maitland Chapter #68 of the Royal Arch Masons and past president of Mt. Zion #28 A.F.C.A.M. Orval and Alice had two sons. Winston Keith was born in 1941 and Stephen Archibald in 1947. The legacy continues with many grandchildren and great grandchildren. While a resident of Water Street in Kemptville, he died on July 5,1993 at age 79. His wife Alice passed away in 2011. They are buried at Kemptville Public Cemetery where his headstone spells his name "Orville". My Aunt Marge and Uncle Tom travelled from their home in Virden, MB to meet her first cousins Ellis (left) and Orval (right) in the late seventies or early eighties for the first time. 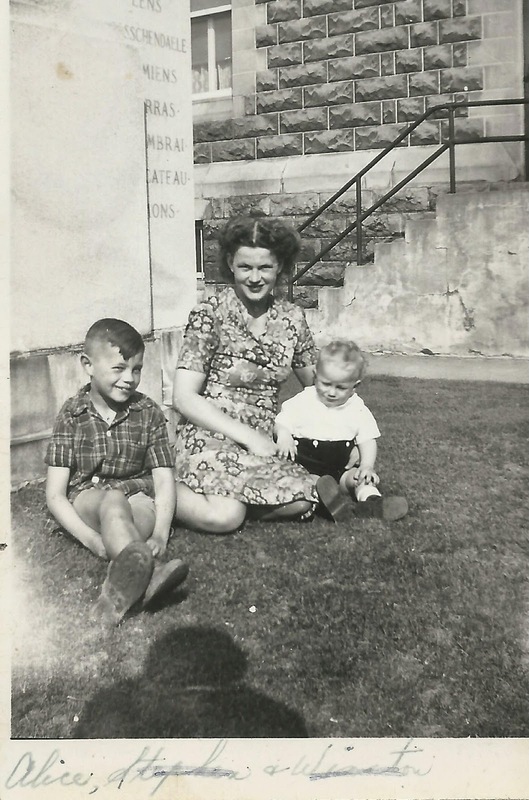 Thanks to her for sharing her photos and memories for another branch of the family tree.